Ulcers (also known as peptic ulcers or gastric ulcers) are areas of damaged and inflamed tissue in the upper digestive tract that cause pain, indigestion and discomfort. These lesions can occur in the tissue lining the stomach (gastric ulcer) or the first part of the small intestine that leads out of the stomach, called the duodenum (peptic ulcer). It was once commonly thought that stress, smoking and diet were the only causes of stomach ulcers. 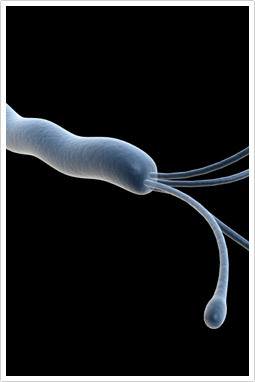 However, the Helicobacter pylori (H. pylori) bacterium is now known to be responsible for most ulcers. This bacterium burrows into the lining of the stomach, causing pain and damaging the stomach lining. H. pylori infection causes about 60-80% of all stomach and duodenal ulcers. Helicobacter pylori (H. pylori) is a cork-screw shaped bacterium that makes itself at home in your digestive system, where it literally burrows into the lining of your stomach or duodenum, causing inflammation and damage. Over time, H. pylori may lead to the development of an ulcer. For some people H. pylori infection causes no signs or symptoms and doesn’t lead to any complications, but for most sufferers, H. pylori causes indigestion and reflux and, eventually, ulcers. Are you one of the 1 in 4 people that have H. pylori? How can I find out if I have H.pylori? Your MNMC Naturopath may recommend one or two of the following to confirm the infection. What can I do to reduce the risk of exposure? To reduce the risk of developing an ulcer, avoid the above risk factors, and eat a healthy well balanced diet, high in fruit, vegetables, whole grains and fish. Exercise and relaxation are also important lifestyle factors, to help reduce inflammation and stress. By making some simple changes to your diet and lifestyle, and by taking the appropriate supplements, you may be able to prevent diabetes or better manage your existing diabetes. Take a proactive approach and consult one of our highly qualified naturopaths at MNMC today. If you are experiencing any of the symptoms of H. pylori infection, or have been diagnosed with this or an ulcer, make an appointment today. One of our highly qualified Naturopaths can support you in making simple diet and lifestyle changes and recommend the right natural medicine to help assist you in getting your digestive system in tip-top condition once again! You can make an appointment online, email us, or phone us on (03) 96862566. Our clinic in 49 Chetwynd St, North Melbourne, is open six days a week.